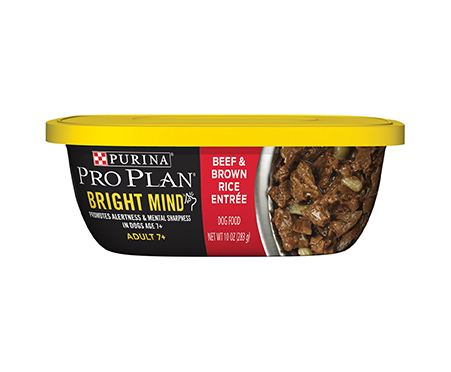 Purina Pro Plan Bright Mind Adult 7+ Beef & Brown Rice Entree Wet Dog Food is specially formulated to nourish your small breed dog’s mind throughout his later years. 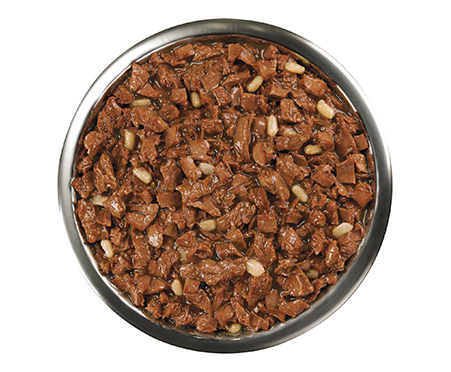 Through extensive research, Purina developed a unique blend of enhanced botanical oils, high-quality beef protein and essential vitamins to provide a powerful source of brain fuel for dogs 7 years of age and older. Bright Mind is filled with masterfully balanced nutrition to keep your lifelong buddy alert, engaged and in top shape for many more years to come.